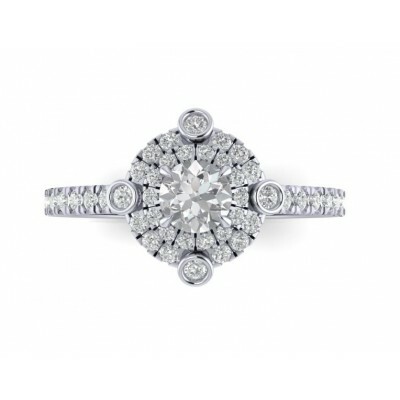 Classic engagement ring with central brilliant cut diamond and a halo of smaller diamonds. Elegant, beautiful and exceptional! Contact us right now and our specialists will get the best option for you. Elegant ring of fine lines. The central diamond has a very special cut, it’s named Radiant. The side of the ring is decorated with a beautiful thread design. Contact us right now and order the size of diamonds that you prefer our specialists will get the best option for you. 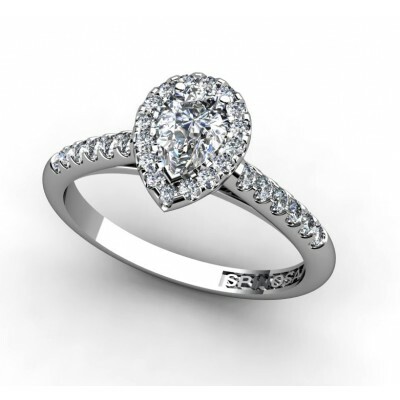 Diamond ring in a heart shape is a sign of eternal love and fidelity. In this ring Heart cut diamond in the center of the ring is rounded by smaller brilliant cut diamonds. Absolutely flawless!!! If you prefer another size of diamond, contact us right now and our specialists will get the best option for you. 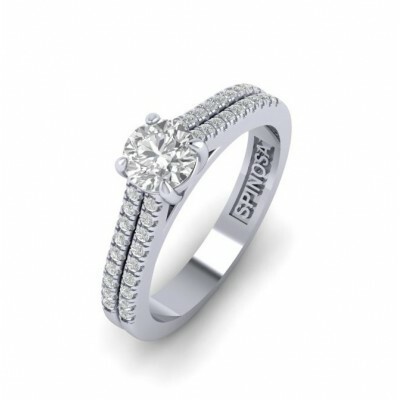 Diamond ring in a modern unique design. This ring isn’t that you see at the first sight. 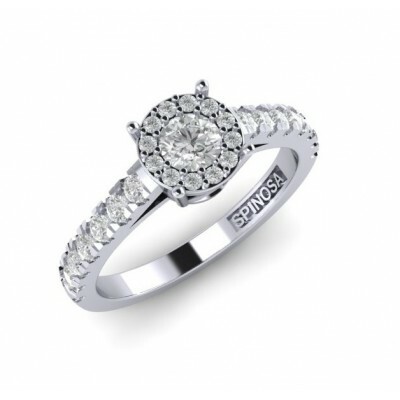 The top of the ring is created by one central diamond with various small diamonds. This optical effect gives us a sensation that the central diamond is rather bigger that in reality. The ring’s sank is covered with two parallels lines of the whites diamonds. Great purchase!!! Elegant and simple ring where the central diamond is a protagonist of the set. The shape of the central stone remind us the water drop, so pure and transparent, just top quality diamonds can offer this sensation. If you want to choose another size of the central diamond, contact us right now and our specialist will find the best option for you. Beautiful diamond ring with pear cut central diamond. The central stone is rounded with smaller brilliant cut diamonds, that makes this piece very sweet and perfect to be an important present for a very special moment. 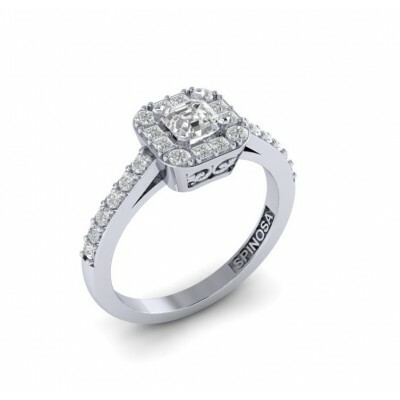 Modern diamond ring with elegant touch. The top of the ring is formed by various diamonds, one of them, the central, is "asscher" cut diamond. It's not very commun in Jewellery, that do this ring very special. The sank is also covered with diamonds. If you want other size of diamond, contact us right now and our specialist will fined the best option for you. Gold and diamonds ring with big central diamond with some smaller diamond around. The sank is also covered with diamonds. -There is one brilliant cut central diamond of 0.40 cts HVS. If you prefer another size of central diamond, contact us right now and our specialist will find the best option for you. Fine and elegance ring with avant-garde character. 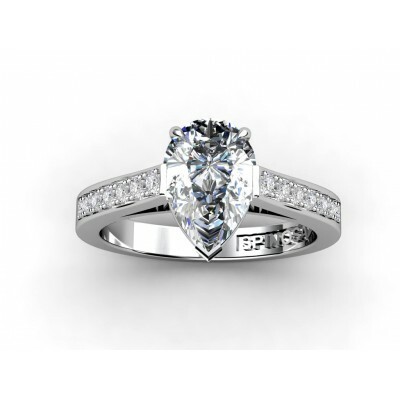 It is crowned with a central brilliant cut diamond. The sank is also setted with diamonds of a smaller size. If you want another size of the diamond, contact us right now! And our specialist will find the best option for you! Very Manuel Spinosa Design ring. 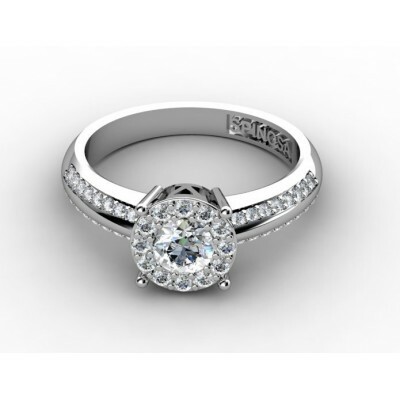 This is a mix of modern and dared engagement ring design. The central brilliant diamond is settled with 4 claws and surrounded with a few diamonds hallo. The sank is also setted with brilliant cut diamonds but of the smaller size. - Diamonds: 14 diamonds of 1.1mm, 12 of 1.2mm and 20 of 1.4mm. Total 0.72 cts. - 1 central brilliant cut Diamond of 0.30cts HVS. If you want to choose another size of the central Diamont, contact us right now! Diamond ring with Leon's claws famous setting. 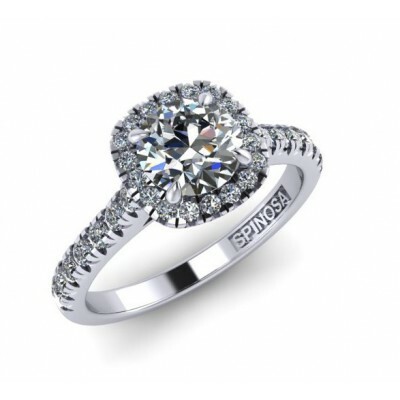 Double sank is settled with brilliant cut diamonds. 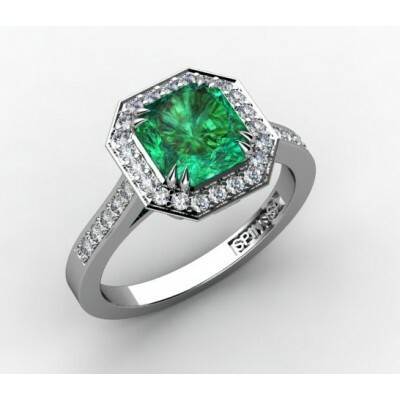 This ring is a perfect compliment for any elegant and modern woman. If you want another Diamond size, contact us right now! 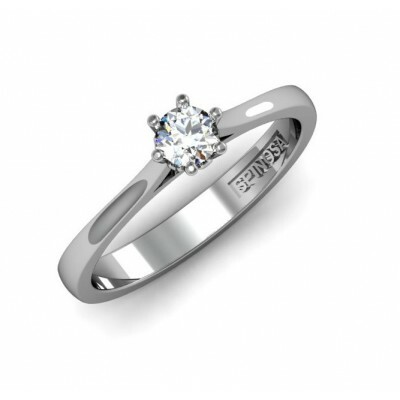 6 claws setting solitaire ring with diamond. 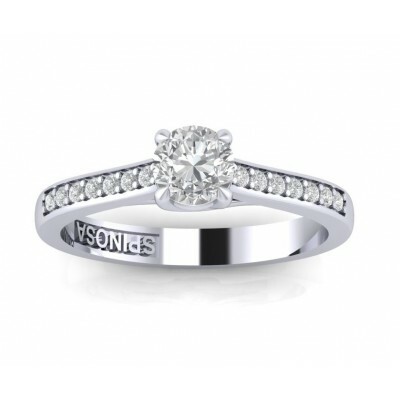 Elegant , fine , with feminine touch that distinguishes it from any solitaire ring in a market. 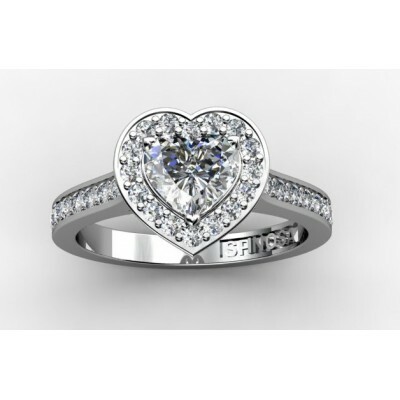 The side's details in a heart shape make this ring unique and special. If you want another size of the central Diamond, contact us right now!